for lunch on the go instead of a paper or plastic sack. Learn more. 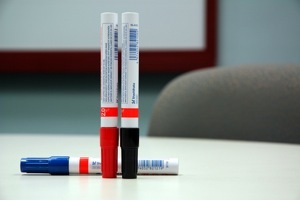 Markers can contain harmful chemicals that can pollute groundwater. You can tell which markers are full of chemicals the moment you take their caps off by that strong, toxic smell, and if the smell wasn't bad enough, all those toxic chemicals can leak into the groundwater once the markers end up landfills. Markers that are water based and have nontoxic ink with refillable heads are far better and healthier. Learn more. Instead of throwing out unused cafeteria food, get your school to give it to the homeless or those in need and put it to use. Non-perishable and unspoiled perishable food can be donated to local food banks, soup kitchens, pantries, and shelters. Local and national programs frequently offer free pick-up and provide reusable containers to donors. Learn more. Volatile organic compounds, such as paints, wood stains, sealers and finishes, which can emit harmful toxins, petroleum solvents, air-polluting chemicals and are the main contributors to smog and can make indoor air three times more polluted than the outdoor air. Reduce the VOC emissions by avoiding VOC in the first place. Learn more. You could receive free energy from the sun and sell back any excess energy to the grid. Despite the initial costs, it will pay itself off and save you in the long run, especially with rebates from the excess energy sold back to the provider and tax credits. You can also power your building with other renewables, such as wind and geothermal. Learn more. Linoleum is made from all-natural resources, like linseed oil, recycled wood flour, cork dust and limestone. Linoleum is naturally anti-bacterial and biodegradable, whereas vinyl flooring is made from petroleum-driven plastic. Learn more. instead of fiber glass. When you choose recycled insulation you’re not only taking steps to save heating and cooling energy in your home, you’re also decreasing the amount of solid waste going to the landfill. Learn more. Before embarking on any home remodeling or building a new home, make sure your architect has green credentials and ambitions to build along sustainable lines. 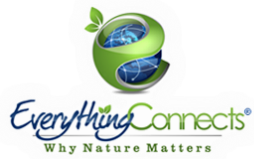 Lines such as solar paneling, compostables and water consumption that can save you money and allow your home efficiency and sustainability that benefits both you and the planet. This will not only save you as much as 85% from buying new textbooks and save on virgin resources used to create new textbooks, but also make you money when you sell them back. Conservatree.org estimates that a 40-foot tree yields only about 8,300 pages of treated paper — in other words, less than a dozen textbooks for an entire tree. Learn more. Virtually all products today have a sustainable and healthier counterpart and school is no exception. Purchase pencils, binders, adhesive notes, notebooks, file folders, scissors, plastic rulers, wastebaskets and tape dispensers from recycled materials! Learn more. Brownfields are sites (land) that may have infrastructure already in place or are already cleared and prepared for building as opposed to greenfields, which is “new” land, which must be cleared. This helps reduce urban sprawl and preserve habitats and watersheds. Learn more. This option trumps conventional asphalt driveways in its ability to reduce drainage problems, prevent unnatural water runoff, help keep pollutants from entering groundwater and simply looks great. Learn more. This includes couches, chairs, drapes and other upholstery. These usually cost less than new furniture and conserve the manufacturing materials and energy. Try to avoid furniture made from materials which contribute greatly to tropical deforestation, such as hardwoods, mahogany and rosewood. Instead, look into wood certified by the Forest Stewardship Council or plantation-grown lumber. Learn more. Instead of AC, try switching on the ceiling or floor fan. Usually fans do the trick and save an incredible amount of money as well. Using the fans at night may allow you to set the air conditioner above 78 degrees saving a great deal of energy. Fans can also help move cool air around the house to ease the work load of the air conditioner. These come with two options – one to use .8 gallons of water and the other 1.6 gallons of water when necessary. This conserves water and of course, saves money. The Environmental Protection Agency reports that an estimated 36 states are anticipating or now experiencing local, regional, or statewide water shortages, even under non-drought conditions, as a result of increased water usage and inefficient water management from aging regional infrastructures. Dual-flush toilets won't solve this problem alone, but will certainly help both the issue and your pocket! Learn more. 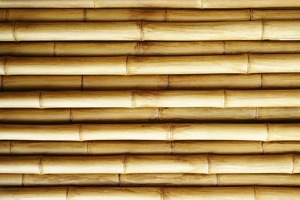 Bamboo, which is affordable and attractive, regenerates in less than 7 years, so it is also sustainable and reusable. Use this as an alternative to hardwood floors and other forms of wood. Learn more. This can save an average household 54,000 gallons of water and $60 annually if water-efficient plumbing fixtures are used. Learn more. Try to keep as much vegetation as possible around your home. Vegetation erosion or removal leads to the intensification of home drainage and storm runoff, which contain harmful chemicals and are a major problem in the pollution of streams, rivers and lakes. These can especially work wonders in the summer, saving you up to $450 per year in energy costs. They may be costly to purchase and install, but pay themselves off in just 3 years, especially with tax credits. Learn more. Recycled paint costs an average of 30-50% less than virgin paint and latex paint, in comparison to oil based paint, releases fewer toxins, dries quicker, is easier to dispose of and contains fewer petrochemicals. By installing more energy-efficient, insulating windows, you can can reduce your energy bills up to 15% and save up to $400 a year in energy costs! You could save you up to 30% of your annual air conditioning costs and 10-25% on winter heating costs by using leafy trees, arbors, or anything else that can cover these sides of your home, especially the air conditioning units. You can also protect your home from cold winter winds by planting a windbreak of dense small tress or evergreen shrubs along the North and West side of your home. Discover the multitude of benefits trees provide!